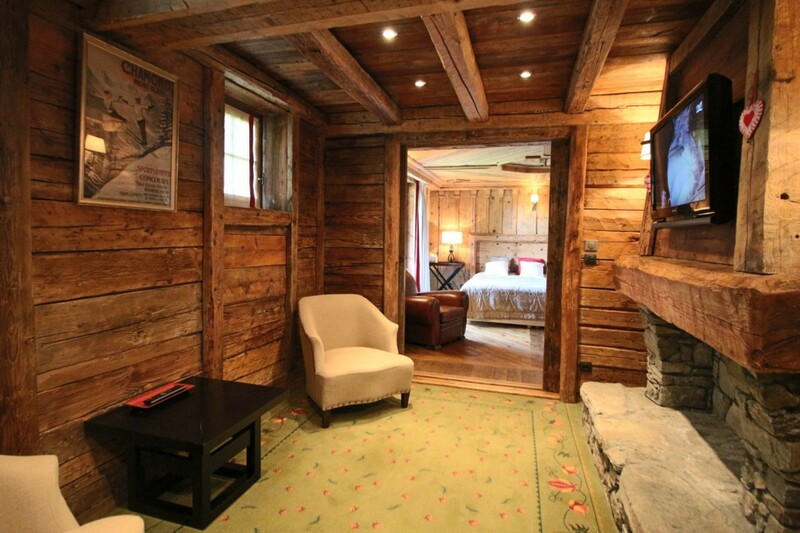 Chalet Les Fees in Courchevel. 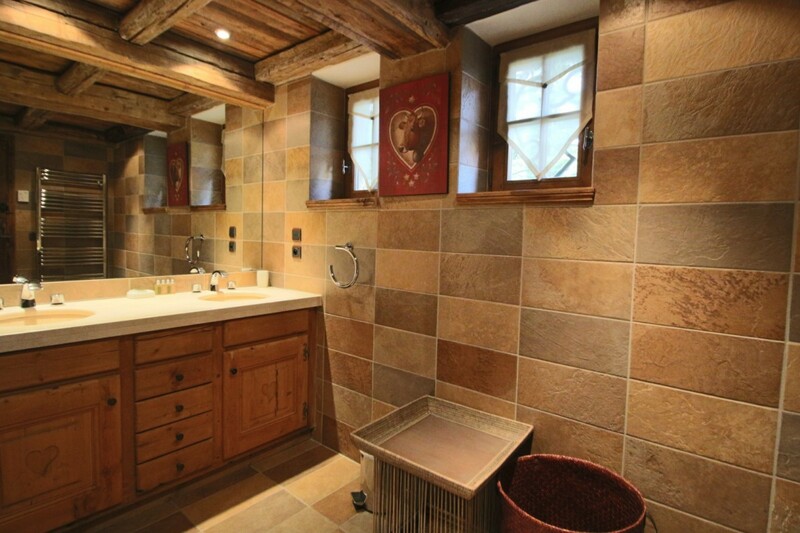 Utterly charming in its use of traditional design; blending stone and heavily carved wooden beams, the Chalet Les Fées is also a delight for its location in the village of Cospillot in the French Alps. 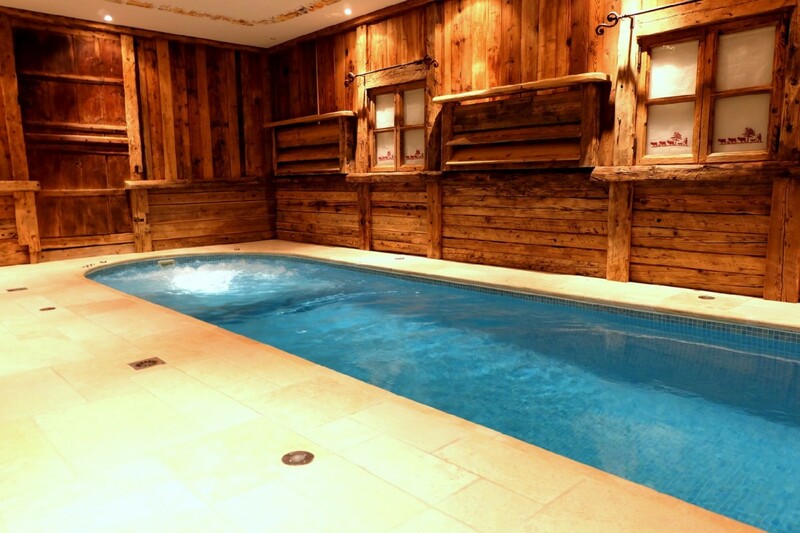 This puts it in the premium Courchevel 1850 area, and makes it a perfect choice for the family or group that loves to ski. 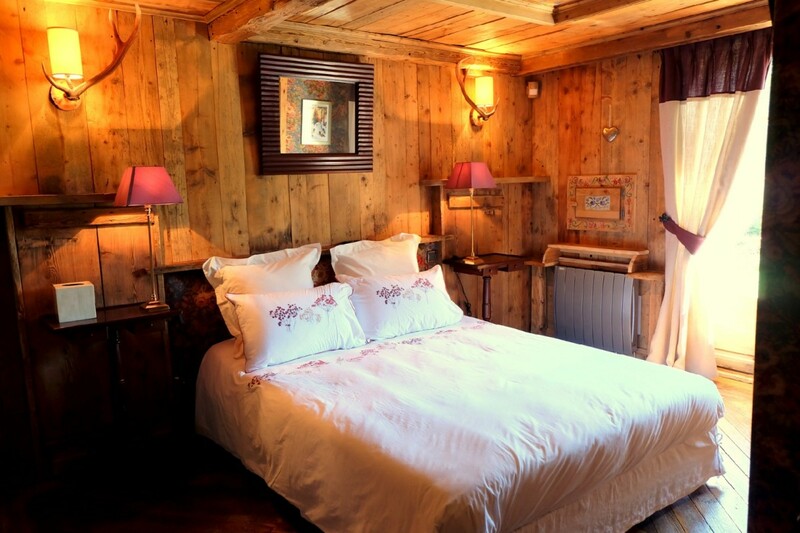 Minutes from the village, it is a ski in / ski out chalet that serves as a perfect base for an unforgettable holiday. 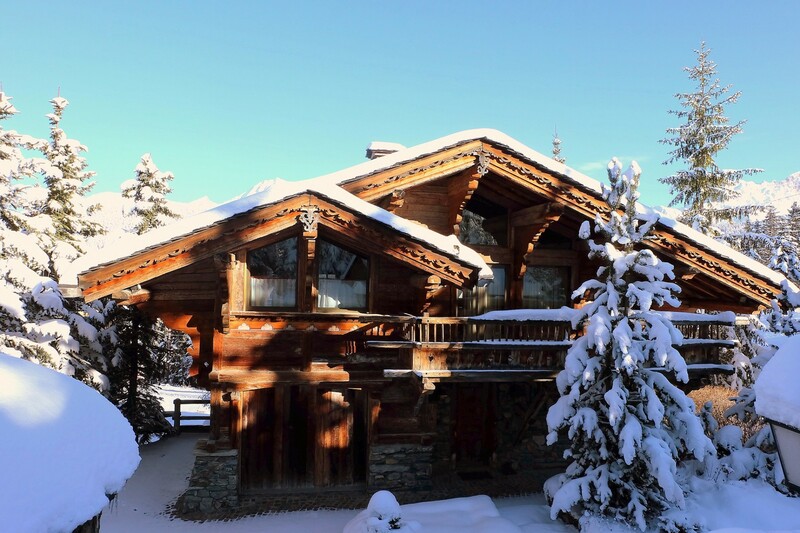 Multiple floors offer ample living space and the use of beamed ceilings, stone fireplaces, and generously sized furnishings add to this chalet's appeal. 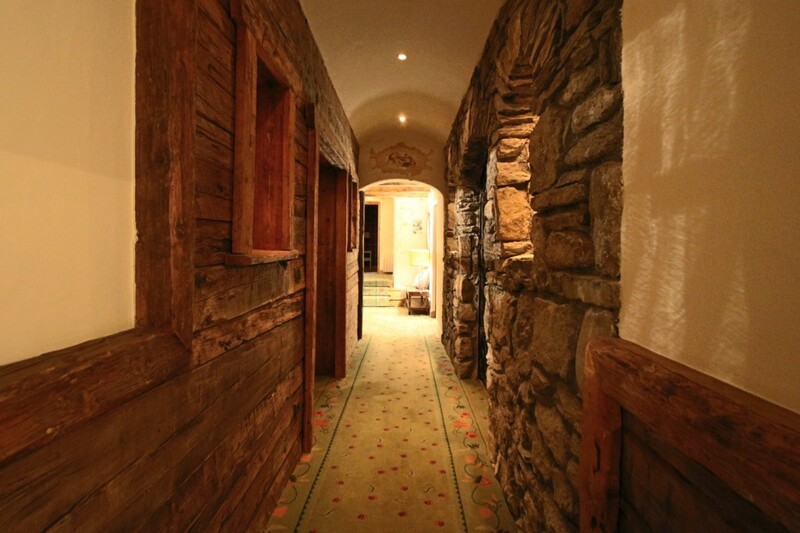 Of course, it is also a supremely luxurious spot, perfectly suitable for the non-skiers among you. 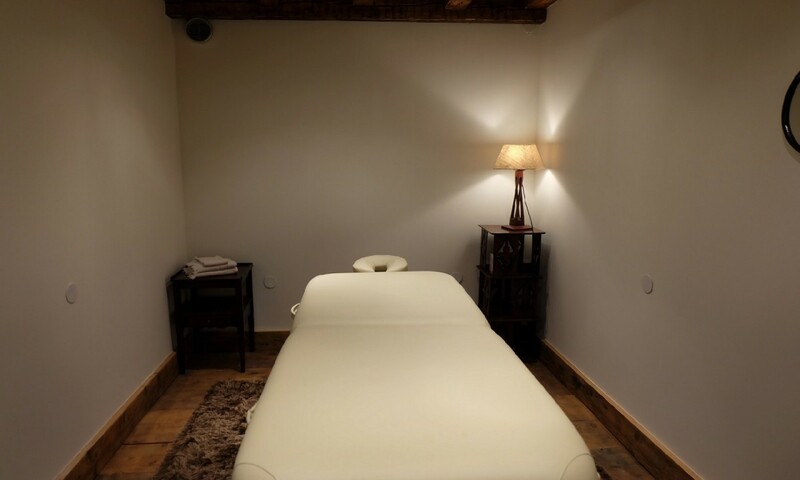 Consider that the ground floor is home to a wellness area with full swimming pool, hammam and spa treatment rooms. 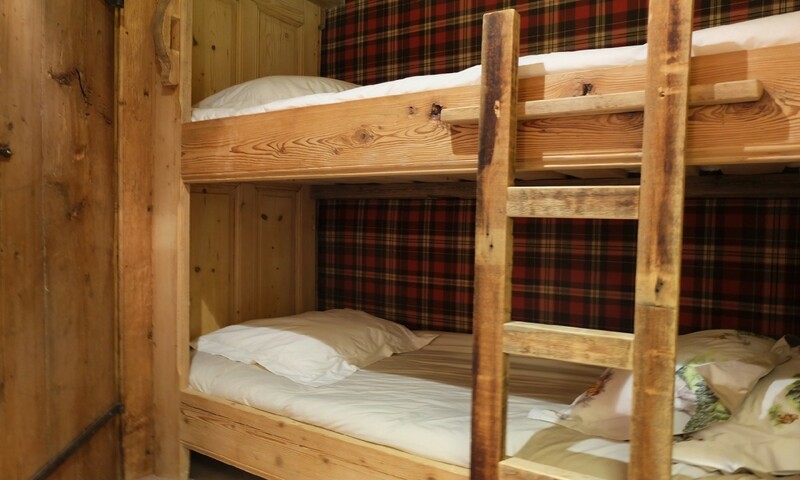 This level also has a large, family-sized bedroom with a separate bunk area and large, ensuite bath as well as a double suite with bath. On the next level are the shared living spaces that include the welcoming lounge with oversized stone fireplace, the kitchen and dining areas, and the utterly cozy TV nook, also with a working fireplace. The first floor is home to the master suite as well. 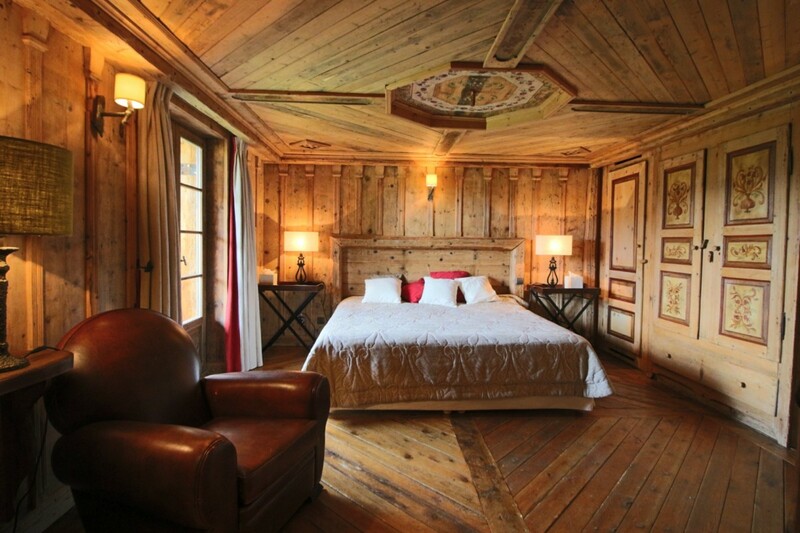 This is a large bedroom with sitting area, king bed, and truly unforgettable wooden paneling with classic, hand-painted accents. 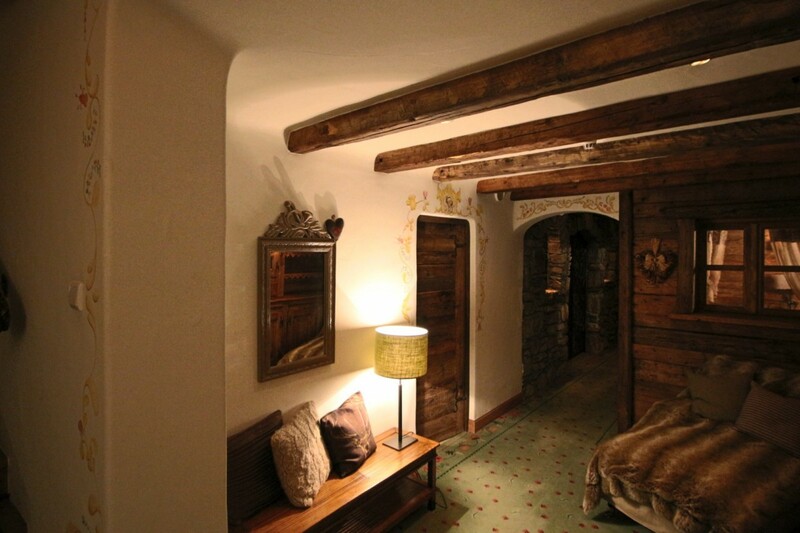 It also has a fireplace and large ensuite bath and is decorated in a traditional country style with gorgeous linens and beautiful furnishings. 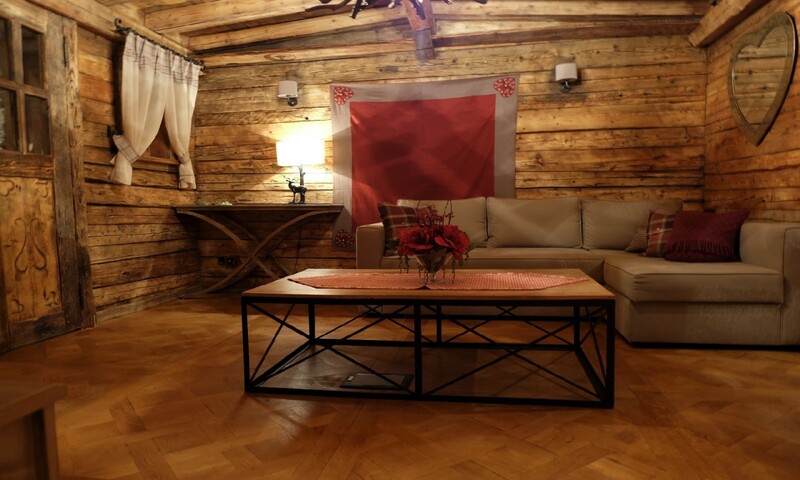 With a property manager available at all hours and a daily housekeeping staff, a visit to the Chalet Les Fées is ideal for groups of almost any kind. 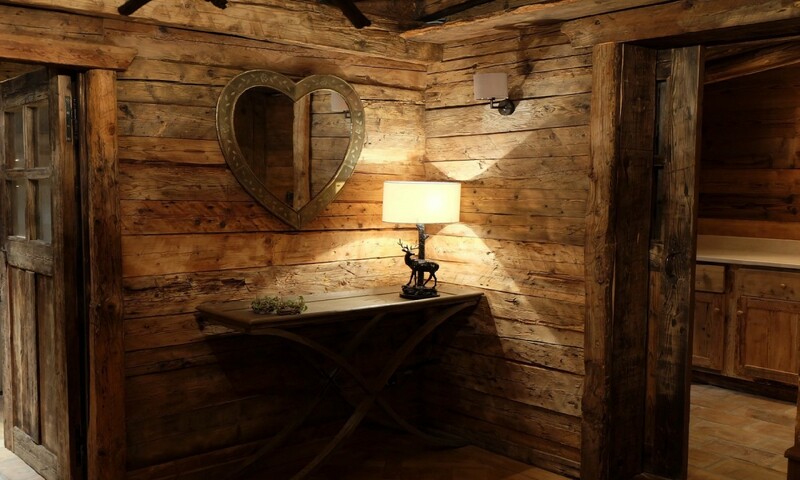 Whether most of you love to ski or only a few enjoy time on the slopes, the amenities, scenery and delights of Courchevel 1850 await. 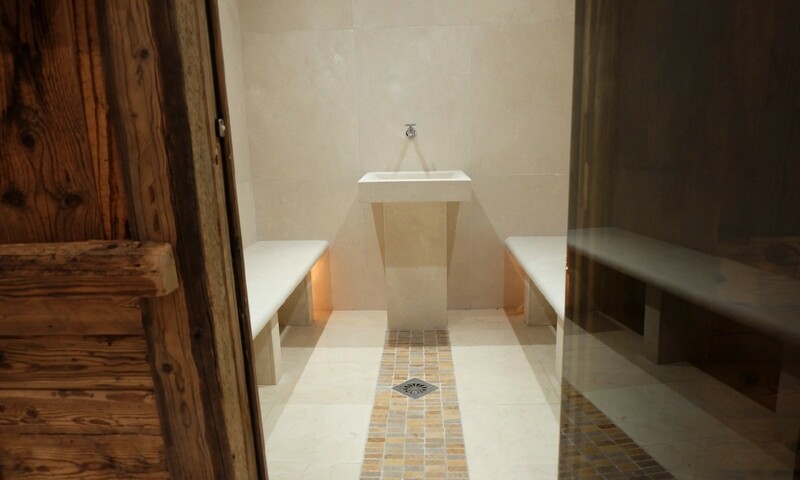 Rates includes: Daily housekeeping service, linen changed in the middle of your stay, bathroom products, all utilities (electricity, water, wood, heating), local taxes and welcome and assistance. Bedroom 1: Ground floor family bedroom with a double bed and a bunk bed and en-suite bathroom with vanity and wc. 4 guests maximum. 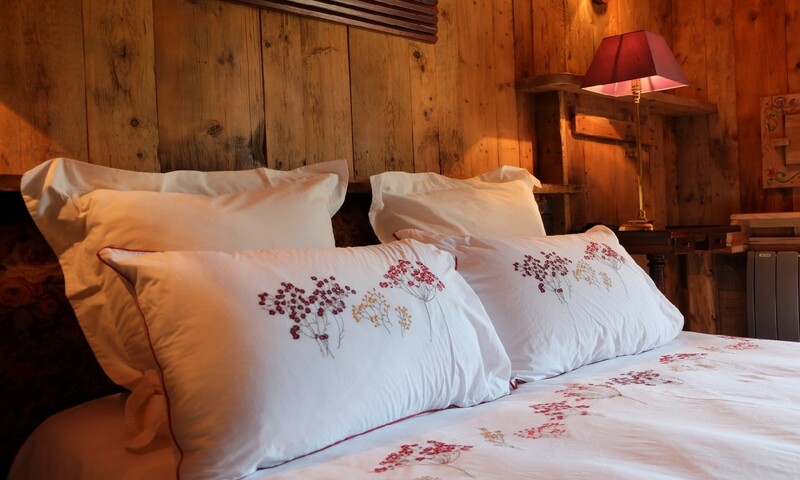 Bedroom 2: Ground floor bedroom with a double bedroom with a double bed and en-suite bathroom with vanity and wc. 2 guests maximum. Bedroom 3: First floor master bedroom with a double ned, fireplace, dressing room and en-suite bathroom with vanity and wc. 2 guests maximum.